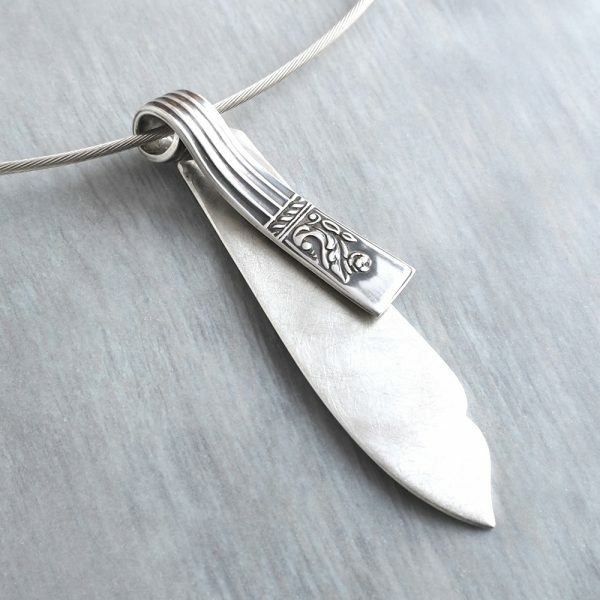 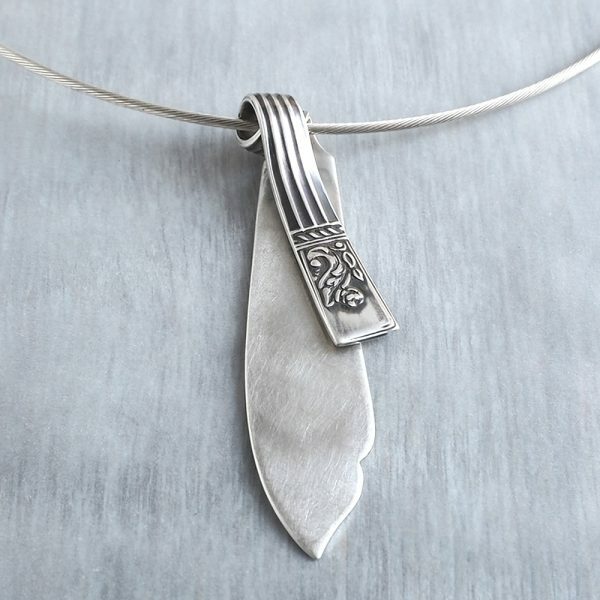 This is a unique one off pendant made from a sterling silver butter knife that dates back to 1896. 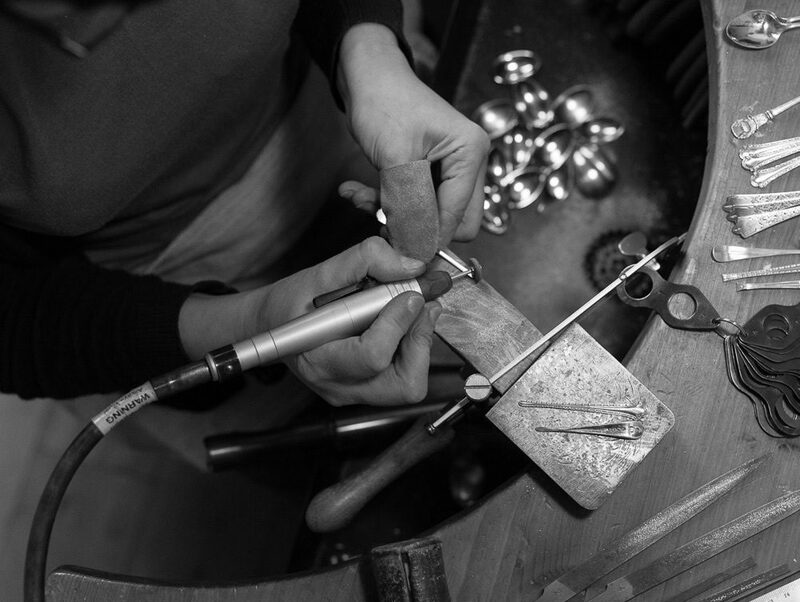 The butter knife was originally made in Sheffield by silversmith James Dixons & Sons. I’ve lovingly transformed it from functional to fashionable and it can now adorn your neck as a wearable heirloom.